Governor Dannel Malloy has lifted the travel ban on Connecticut highways. The ban on state roads went into effect at 5 a.m. on Tuesday and was in effect until 5 p.m. Despite lifting the ban this afternoon, Gov. Dannel Malloy said you should not travel unless your job requires you to get on the roads. If you do not have to travel for work, state officials urge you to stay home. Residents adhered to the ban for the most part, which allowed state crews to get ahead of the snow and avoid cars getting trapped on the highway, the governor said during a news conference. "I don't close the roads too often, folks. I think 2013 was probably the last time," Malloy said during a news conference Tuesday. "It's important that only essential travel be engaged in, so please continue to stay off the roads," he said. "We understand that there are some essential staff that must travel, like doctors, nurses and public safety personnel, but we remind everyone to take your time and be very careful. Let's make sure that if you are on the roads because your job requires it that you arrive safely." 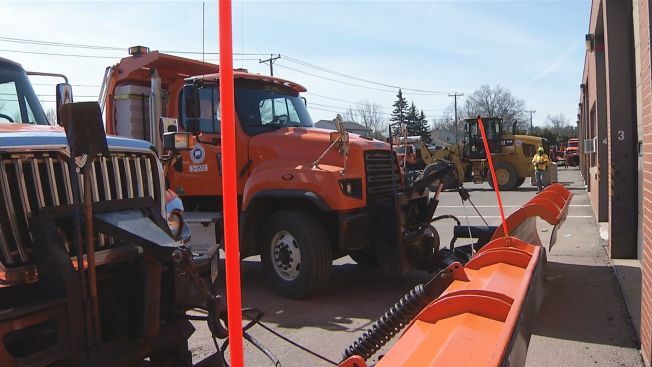 Malloy announced that he signed an order proclaiming a civil preparedness emergency of Connecticut ahead of the blizzard hitting the state on Tuesday. The state's fully activated Emergency Operations Center started at 5 a.m.
Malloy directed nonessential first- and second-shift state employees to not report to work on Tuesday. He added third-shift employees to that list later in the day. Check full weather coverage on NBC Connecticut here.